Here at The Compound, a/k/a The Sluggery, I'm not really being a slug. Since I don't have the stamina to write anything interesting or imaginative, here's a list that you can ignore or not, as you wish. I posted a couple of photos from New Orleans to the Moo Sisters group. I've rewritten the same chapter four times. So far, it's not setting my imagination on fire. It will when I find the right tone. This is just a whole new kind of character for me to write. I want to do right by her. Tim and I saw UP on Monday. I really liked it. What is it about a few notes of "When You Wish Upon a Star" that always brings out the happy kid in me? I had a mysterious onset of severe pain about the time we went to New Orleans. It got progressively worse over the last three weeks. It's now just as mysteriously going away. The body is a wonderful thing. The Brides are in Florida. Sugar is staying at The Compound. The first night, my sleep schedule drove her crazy. Now she pays no attention to it at all, just does her thing. She has cuddled with me a couple of times. It took Sugar a long time to relax with me, so I like this very much. Sugar, Margot, and Guinness have always gotten along. The girls treat her just like they treat each other--total acceptance. I plan to get some photos of them tomorrow so if Lindsey and Rhonda check in, they can see Sugar living it up at The Compound. Maverick and Rex are COMEDIANS. I've been online so little that I didn't even know Tim had changed his LJ banner. I love the new photo, especially Rex's happy grin. 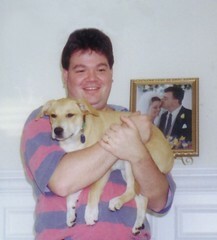 I found a photo of Tom holding Rex in May of 2001 when Rex was living with his first family. He still gets this same stoned/disgruntled look on his face when Tom holds him like this; he just has a lot more leg now. 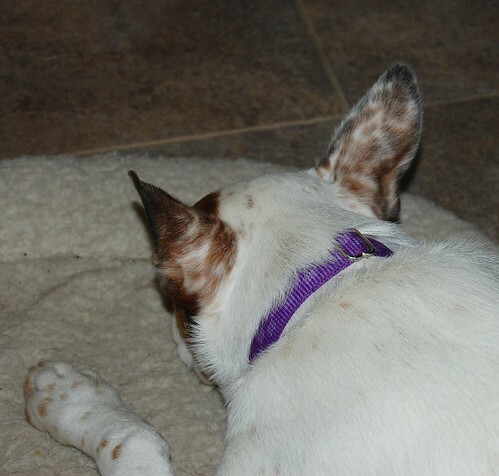 I've been trying to get a photo of Maverick's ginormous ears from behind, because they are adorably speckled. He doesn't sit still very long, so photographing him is hit or miss. I ADORE this dog. 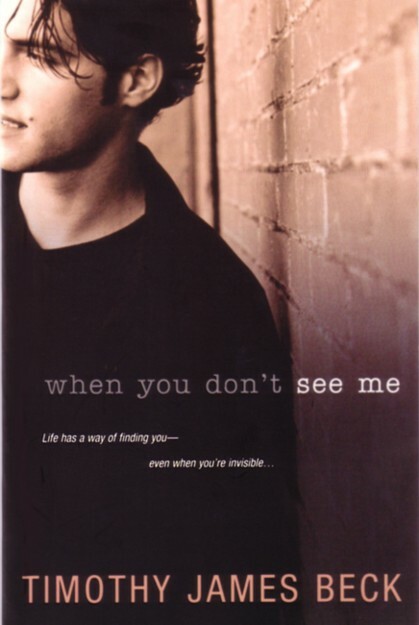 I'm reading and enjoying Michael Thomas Ford's novel Changing Tides. I'm so glad I read Steinbeck's Cannery Row last year for the first time, because that's giving me another level to appreciate Ford's story. Still going to the gym three to five times a week and adding more to what I do every week. I always whine about the getting there, but I love the being there. I'm working on another project. So far, I've been really pleased with it. Monday night, NOT AT ALL. Much went into the trash and I will start afresh Tuesday. Come to think of it, sounds a lot like my new writing effort.